SGAC and NASA SCaN are proud to announce that two selected SGAC members, who have expressed an interest in a career in space communication and navigation, were sponsored to attend the NextGen Event and ISS R&D Conference held during July 23-26th, 2018 hosted in San Francisco, California. NASA SCaN provides scholarships up to USD 1,000 to all recipients to support their attendance. SGAC and NASA SCaN congratulates the winners. SGAC is proud to announce that Francesco Scarcelli has won the 18th Logo Competition for the Space Generation Congress (SGC) to be held in Washington, D.C., USA, in October 2019! SGAC is pleased to announce the SGC 2019 Logo Competition, to select the inspiration for the event logo which will be used in promotional material for SGC 2019. The winner being awarded free registration to the 17th Space Generation Congress in Bremen, Germany (27th – 29th September 2018). SGAC and Young ESA are pleased to announce Kwasi Nkansah, Christopher Ogunlesi and Katherine Pangalos as the winners of the joint Young ESA Diversity scholarship for 2018. The competition enables one outstanding SGAC member to attend the 17th Space Generation Congress and the 69th International Astronautical Congress in Bremen, Germany. SGAC and the French Space Agency, CNES are proud to announce that twelve outstanding SGAC members will be sponsored to attend the 69th International Astronautical Congress in Bremen, Germany from 01 – 05 October 2018 . The CNES will provide scholarships up to 750€ to all recipients. SGAC is proud to announce Hannes Bartle as the winner of the Gomspace Scholarship. 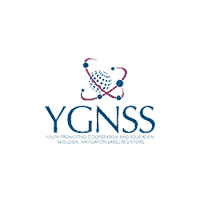 This award provides support for students who are either Danish nationals or studying in Denmark to attend both the 17th Space Generation Congress and the 69th International Astronautical Congress in Bremen, Germany. SGAC and the Entrepreneurship and Investment Committee (EIC) of the International Astronautical Federation (IAF) are pleased to announce George Profitiliotis as the winner of the joint $pace is Business Competition 2018. This competition is an opportunity for students and young professionals to share their views and analysis on past, present and future of entrepreneurship and investment within the space sector. The scholarship enables one outstanding SGAC member to attend the 17th Space Generation Congress and the 69th International Astronautical Congress in Bremen, Germany. SGAC is proud to announce Alex Linossier as the winner of the second Australian Space Generation Innovators Award. This award provides support for young, enthusiastic Australian space innovators to attend both the 17th Space Generation Congress and the 69th International Astronautical Congress in Bremen, Germany. This competition is an opportunity for students and young professionals to share their views and analysis on past, present and future of entrepreneurship and investment within the space sector. The scholarship enables one outstanding SGAC member to attend the 17th Space Generation Congress and the 69th International Astronautical Congress in Bremen, Germany.